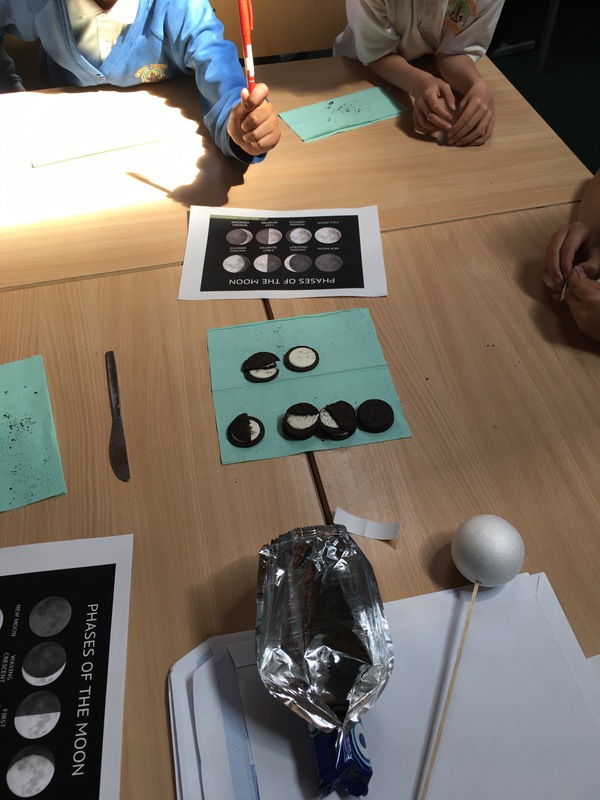 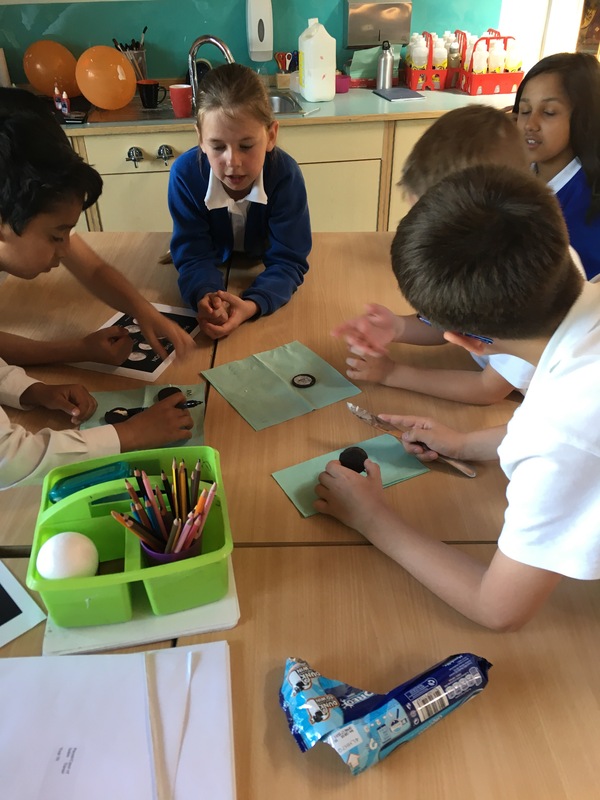 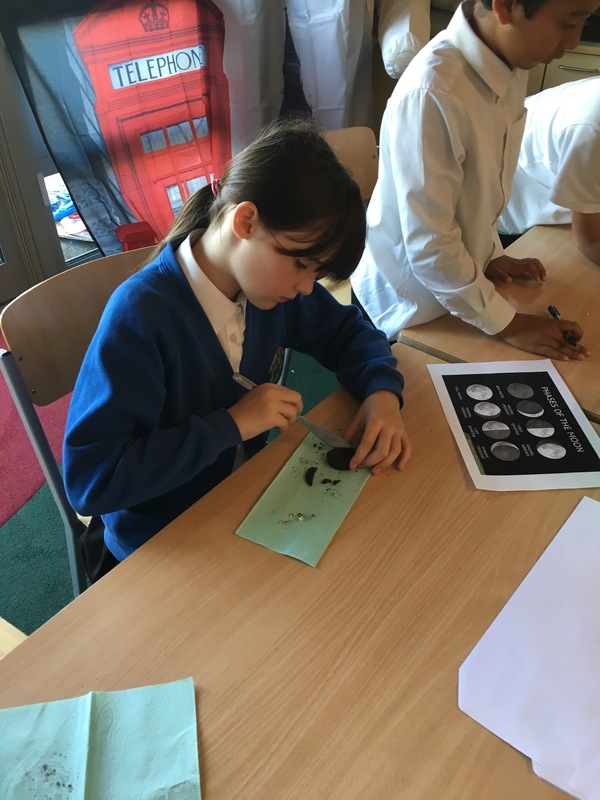 On Thursday, the day of the Starlight Sleepover, Y5S were looking at why we see different shapes of the moon. 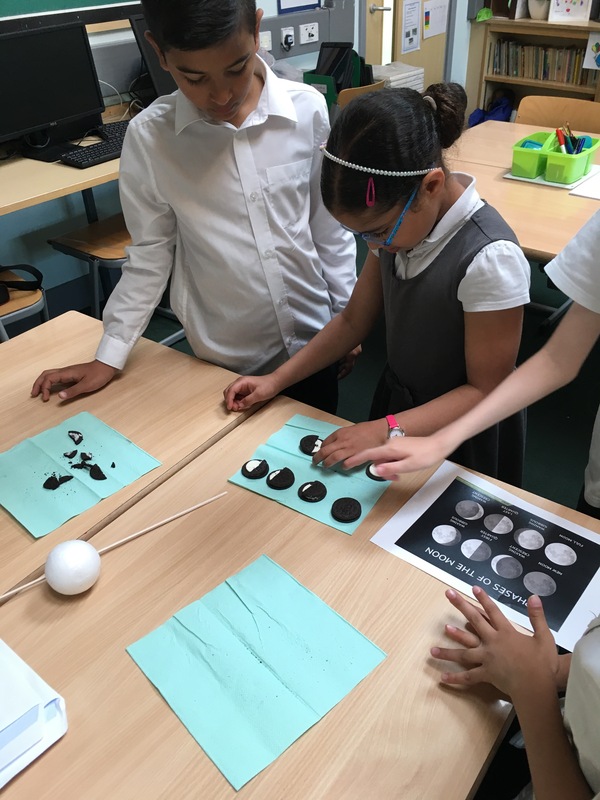 To help us understand the concept we used the dark sensory room to model the moon, Earth and the sun and how the orbit changes the amount of the moon we see. 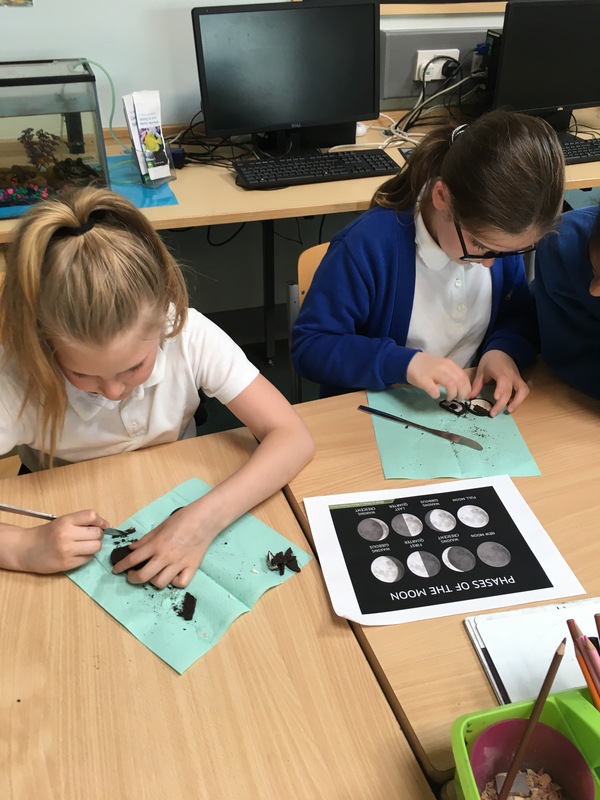 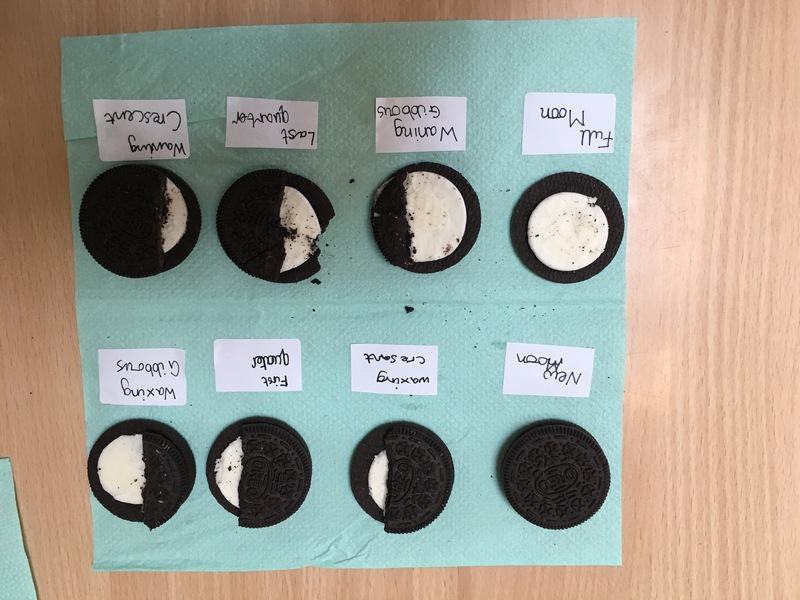 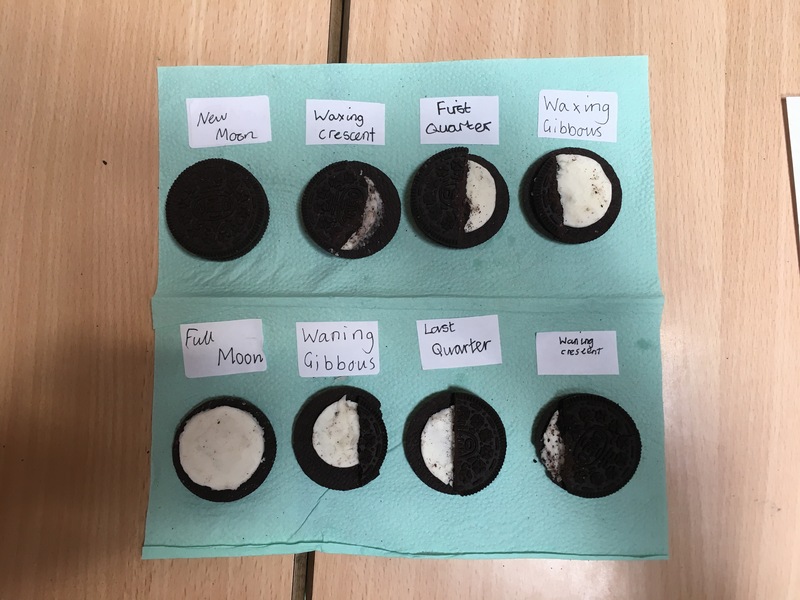 When we returned to the classroom we began to name and created the different phases of the moon using Oreos! 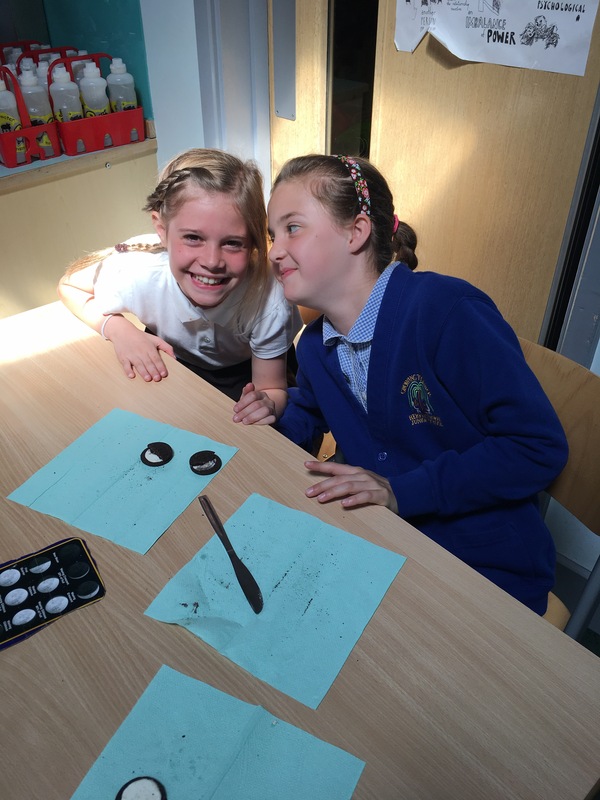 After some careful carving the children were pretty pleased with their outcome.